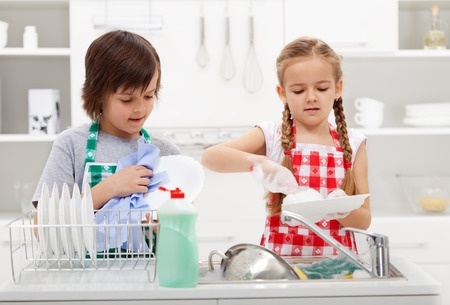 As a kid were you expected to take part in household chores every Saturday morning? Sure there were the cartoons and cereal, but after that was over, it was time to clean the house. As you got older, those chores had to be done before you left for work, went to hang out with your friends or headed to the library to study. Maybe those Saturday chores were annoying. And maybe they were often a sore spot of contention between you and your parents. But they were intended to teach a valuable lesson: There are some things that you just have to get done, and learning to make it a habit will make it easier to accomplish those things. When you run your own business, there will be a lot of tasks that will remind you of Saturday chores. Tasks like accounting, inventory or budgeting come along with the fun stuff too. These are the nitty gritty tasks that, if you leave them to the last second, can pile up into a big mess that is impossible to clean. So as hard as it may seem, it’s best to adopt a Saturday chore day mentality and make it a habit to just get them done, even if you don’t want to. The best part about Saturday chores was always when you finished them – and you knew that the rest of the day was yours to spend as you wished. Just imagine now how you will feel each week as you diligently put in the effort to mark those chores off the list so that you can have the time to do the stuff you love!